Sarah Gill founded Gro-Organic in 2011, to support her local community in North Solihull. Her aim, to help them transform waste land into vibrant community gardens and enhance their lives. I was driven to make spaces greener and help transform food culture by inspiring everyone to ‘Have a Gro’, no matter their age, ability or background. What started as a hobby quickly saw me working more with the community and led to me setting up Gro-Organic as a Limited Company. This wasn’t to last long!! I felt that the legal structure didn’t show the social purpose of the business and decided to look for advice. I got this from Development in Social Enterprise (DISE). DISE recommended Gro-Organic change its structure to a Community Interest Company (CIC) and the CIC was born. Being a CIC opened up a variety of opportunities that hadn’t been available before. There are two very defined areas that make our modal work. provide surplus crops for the community and vulnerable groups. We are the first organisation in the country to have their gardening sessions offered on prescription by doctors. Our work has developed into a multiple award-winning service. 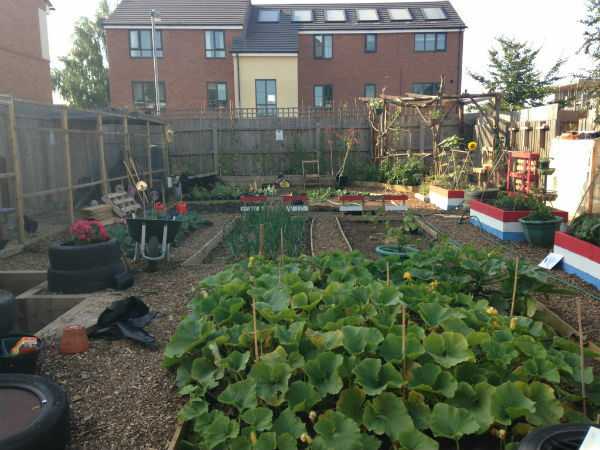 The Dig It crew, with the help of Gro-Organic, took over a plot of waste land and transformed it into a vibrant community garden. We are breaking down barriers and stigmas in the community on mental health. This group are transforming their mental health and wellbeing through the outdoors. What working together can achieve. We recognise that to continue improving and developing our work we need to have other sources of income. We do not want to be dependent upon funding. Gro-Landscaping – the Landscaping service we provide enable us to design and deliver outstanding gardens to schools, commercial organisations and businesses. Our landscapers also create award winning outdoor classrooms, sensory gardens and school allotments. Wellies 2 Bellies - Our award winning outdoor education programme sees our team delivering exciting, engaging outdoor workshops to local primary schools, setting up gardening clubs and getting children to engage with their local environment. 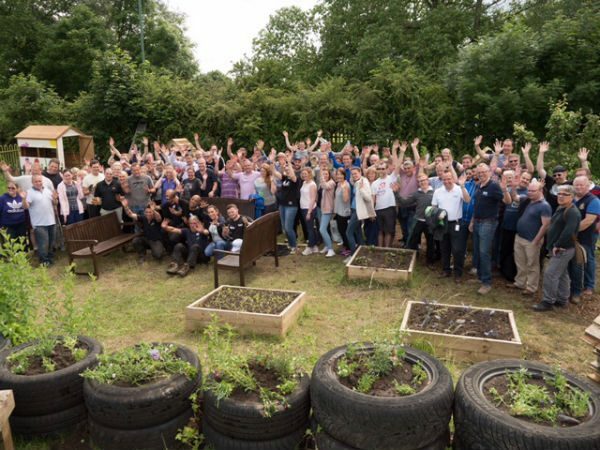 Corporate Social Responsibility - Our social return on investment is a ratio of 1:15, every £1 that gets spent with us enables us to deliver £15 worth of social value. As we are seeing business grow we have been able to reinvest this growth within the community and expand our programme of work. 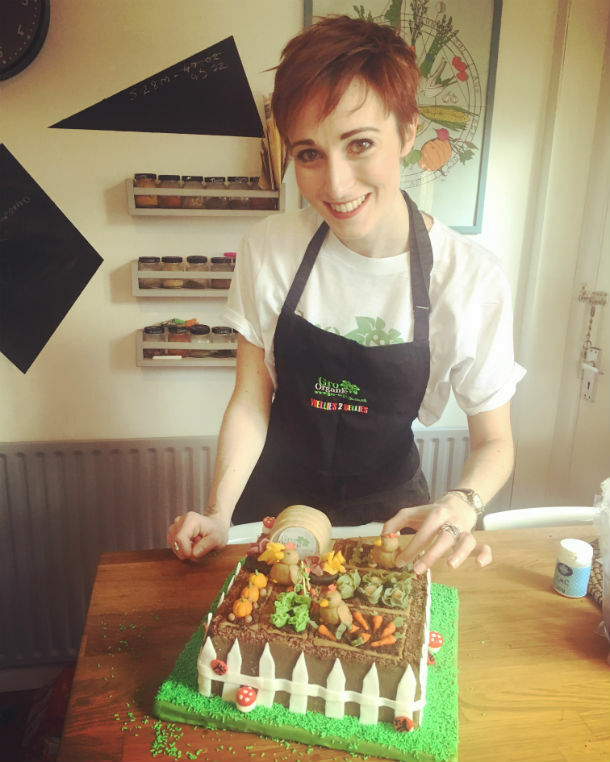 I’m Bethan – community project support at Gro-Organic. An opportune meeting with Michael Forbes led me to the Gro-Organic family and the incredibly varied and far reaching work that the team undertake. With his arms laden with herbs and hand trowel Michael briefly told me of the hundreds of volunteers that they work with in their community gardens. The regeneration of housing estates and the outdoor education programmes they run for primary schools. All this was taking part in Birmingham and I hadn’t a clue! I felt motivated and driven by this idea that the outdoors can change peoples lives for the better. That feeling is renewed every day that I’m with the team. Lead by Sarah, I’m constantly inspired by her passion and drive to bring positive and lasting change to our local community through the great outdoors. The future is looking bright and bushy for Gro-Organic. The team are always developing the business. We have plans to grow the educational side of the business and work closely with local colleges which will be funded by Public Health.